In April, I attended the NCTM conference in Boston. I was staying with Jake, a college friend, at his place in Cambridge a few blocks from Central Square. He was a terrific host; when I told him where I was headed, he explained that the public transit route was a bit tricky. To save me from getting lost, he began explaining my public transit route in exquisite detail: the number of blocks to walk, important landmarks, the side of the street to enter to make sure I was headed the right direction, and so forth. The direction was complicated, he explained: look to travel inbound, regardless of traveling to the conference or returning. This made no sense to me, but I wrote it down anyway and kept listening. And then at one point – I forget at whose suggestion – we tried a much better approach. Jake simply told me, “On the Red Line, inbound and outbound are determined by whether you’re heading towards or away from Park Street.” This explained why I needed to head “inbound” in both directions, which had prompted the original need for the detailed directions. Jake realized that once I had that essential understanding, most of my steps would be more or less obvious. This seemed much more efficient. And it was. He still gave me detailed directions too, and I mostly followed them, but the key understanding he shared with me became important once I deviated from his instructions. One day, I wanted to stop at a CVS on the way that led me to a different station; the following day, I wanted to venture off to Fenway Park – a move that involved the Red Line and a transfer to the Green Line. Thanks to my emerging understanding of the metro system, I required no new sets of detailed directions. Instead, I charted into new territory with confidence. Had Jake only equipped me with step-by-step directions for getting to and from the conference, I likely would have needed more of the same for my subsequent adventures. Perhaps because I was attending a conference for math teachers, I saw an immediate parallel to the perils of teaching and memorizing of procedures in mathematics without understanding. Here’s why. 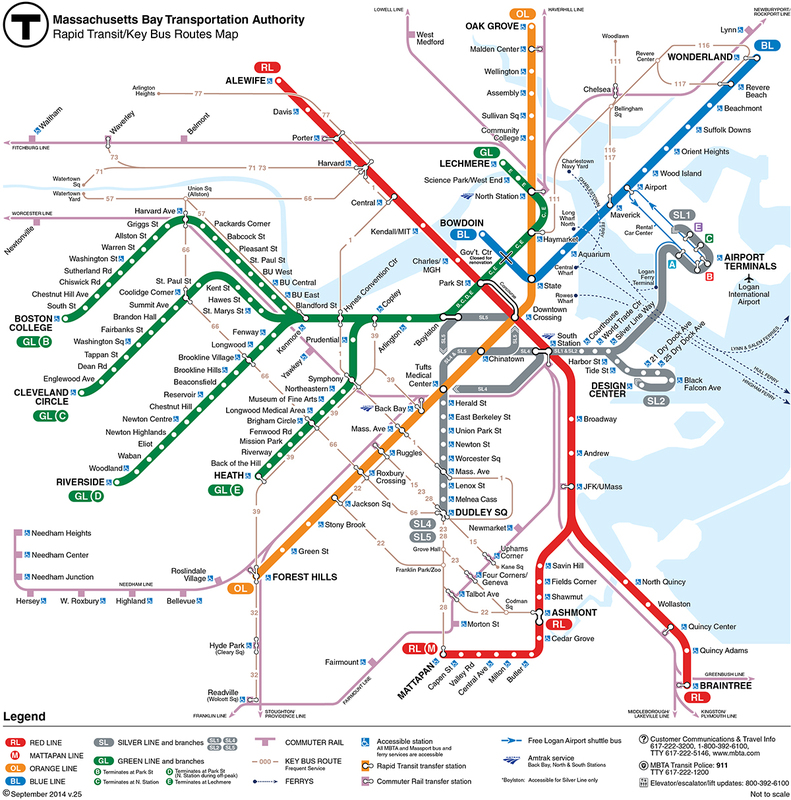 Jake and I both defaulted to a step-by-step explanation for my travel route, because I literally knew nothing about the Boston metro system. Many students I’ve worked with – especially ones who claim not to “get” math – are eager to watch, memorize and cling to a step-by-step procedure. It’s understandable to want to give in to this impulse – there’s (the perception of) a large gap that needs to be closed in a hurry, so giving a step-by-step process or a detailed set of processes to follow seems logical. But here’s an example (from a session at that math conference called “Nix the Tricks”) of how this approach might manifest in an elementary math classroom. 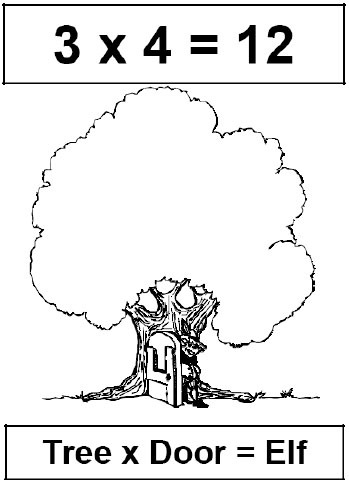 In an effort to get students to quickly memorize 3 x 4 = 12, a teacher might have students memorize this: TREE times DOOR equals ELF. Strikingly, the above approach to multiplication is completely removed from any understanding of the concept of multiplication. Understanding often gets left behind when there’s a rush to transfer a lot of knowledge quickly. Unfortunately, that necessitates the need for this extremely inefficient work-around involving memorization of dozens of bizarre images and words, each one in isolation, each one without rhyme or reason. An alternative could be to actually share the meaning of multiplication, perhaps using a visual like this: This is unquestionably more efficient, and also builds on an understanding of multiplication. 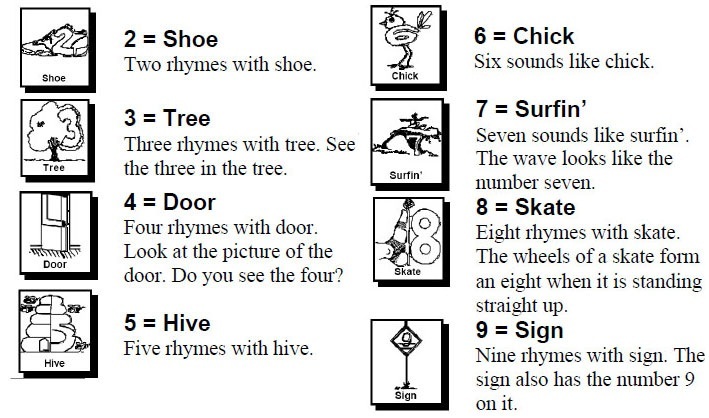 That last piece is crucial, because memorized steps, procedures or mnemonics are often misremembered or forgotten – what happens when a student can’t remember whether tree times door is elf or chick? Or whether elf stands for eleven or twelve? With a method like the dots above, students have a lifeline based in reason and understanding. The alternate approach with the dots is preferable not only for retaining knowledge but also for building new knowledge. The concept inherent in the dots above is transferable. It can be applied to new, harder problems: like 4×6, 12×12, or even algebra if area models are used. Understanding is what allows transfer of knowledge; it’s how I was able to apply what I knew about the Red Line to the Green Line. Without understanding, knowledge only extends as far as the specific steps learned or memorized. Well-intentioned teachers – myself included, I’m sure – are often guilty of overvaluing procedural knowledge while skimping on conceptual understanding. Procedures, shortcuts, tricks – they may help a student learn that day, but it’s easy to forget that without being pinned to some conceptual understanding, a memorized procedure doesn’t have much value. It won’t be long-lasting, and it isn’t a solid foundation on which to build and extend to new topics. Doing so is an exercise in cutting off your nose to spite your face. Glad to see you back in action! Can’t wait to read more.